The Newcastle-born full-back served his apprenticeship at Home Park before Tony Waiters gave him his breakthrough as an 18-year-old, making nine appearances in Green within the final third of the 1976-77 season. After relegation, Smart started the following season as he had finished his first, and was a near ever-present until Christmas 1977. 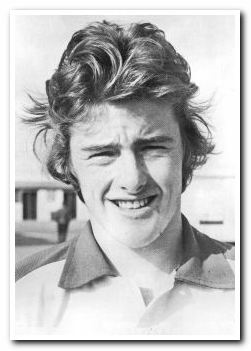 With Waiters' departure and the arrival of Mike Kelly, who preferred Chris Harrison, Smart found it impossible to win back his place in the team, and in the summer of 1978 joined Wigan Athletic, who had just been elected to the Football League in place of Southport. After two seasons with the fledgling Fourth Division club, playing 49 times and netting his only League goal, he then embarked on a long career in non-league football in Kent, spending many seasons with Folkestone as skipper and first choice full-back before ultimately moving to Hythe Town.